The people behind Barnsley’s award winning not-for-profit sports provider, Team Activ, are aiming transform the way all we access and enjoy sport in the UK – but they need help to get their new project off the ground. Not content with providing a range of popular sports activities and events for schools, communities and businesses in and around Barnsley, Team Activ now wants to create a national network where people can share their knowledge of local sports services and help each other to get the most out of sport in their communities. To help make sure they’re on the right track, Team Activ is asking for people to come forward and share their views, comments and experiences on how they find sporting activities, where they get their information from and what effects their decisions on which sports to get involved in. “We know it’s often quite hard for people to find good quality sports activities so we’re looking at ways of making that easier to encourage more people to get involved. “People have busier lives than ever before and we want to make accessing sport within your local community as straightforward and simple as possible. “We’ve already got some plans in the pipeline but what we really need now is for people to get in touch and let us know what works (and doesn’t work!) for them. 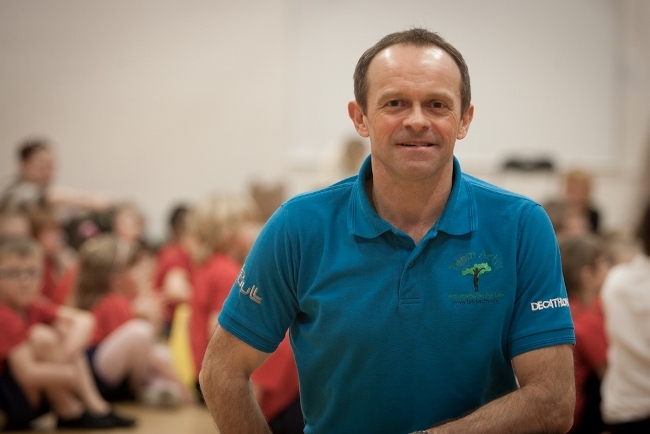 Team Activ was founded by former PE teacher Darren in 2011. It is a social enterprise company which supports communities, businesses and schools to develop self-confidence, self belief, personal leadership and ambition. All profit from the company is re-invested in providing sporting opportunity for young people.